Following Tesla, General Motors may be the next automaker to reach 200,000 electric car sales, triggering the phaseout of a $7,500 federal tax credit, Reuters reports. While Tesla has said it will lower prices by $2,000 to compensate for the gradual reduction in tax credit amounts, GM won’t comment publicly on the matter. Citing an unnamed source familiar with the matter, Reuters reported that GM hit the 200,000-car ceiling in the fourth quarter of 2018. That means the federal tax credit for GM electric cars will be halved to $3,750 in April, then halved again to $1,875 in October. It will remain at that level for six months before disappearing altogether in April 2020. GM vehicles may still qualify for state and local incentives after the federal tax credit expires, however. GM declined to comment to Reuters, but the news outlet noted that the automaker previously said it would hit 200,000 electric car sales before the end of 2018. Nissan will likely be the third automaker to lose the federal tax credit. The Japanese firm has sold roughly 130,000 Leaf electric cars in the United States, according to Reuters. Ford may be fourth in line, although it has sold far more plug-in hybrids (which count toward the total) than all-electric cars. The tax credit has become a significant political issue, with lawmakers proposing to both eliminate it altogether and to remove the 200,000-unit cap. Critics of the tax credit claim that it forces taxpayers to unnecessarily subsidize electric cars. Advocates claim the tax credit and other incentives are vital to getting people to ditch their internal-combustion cars for electric models. In March, GM CEO Mary Barra called for an expansion of the tax credit as GM prepared to increase production of the Chevrolet Bolt EV to meet claimed customer demand. She repeated the request during a December visit to Capitol Hill, according to Reuters. Tax credit or not, GM is planning more electric cars. The automaker previously said it will launch 20 all-electric models by 2023. The cash to develop these cars will come from a massive restructuring that will see GM purge staff and kill off many vehicles. 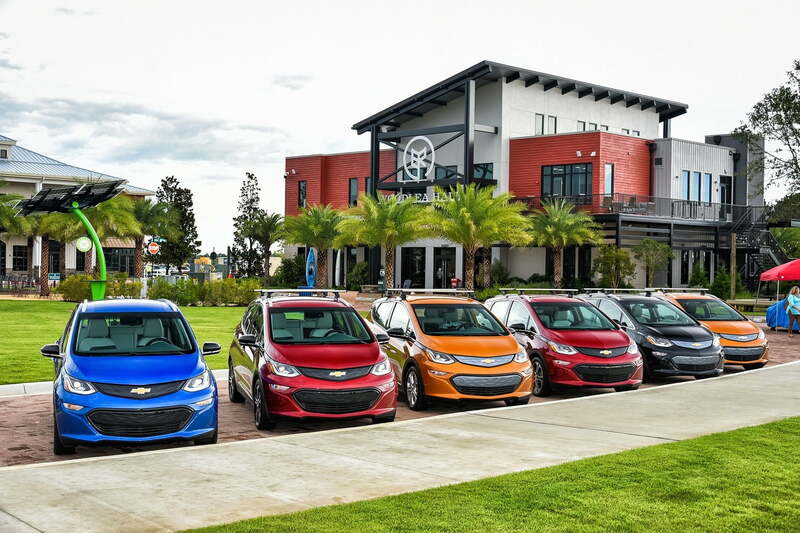 One of those cars is the Chevrolet Volt plug-in hybrid, which played a major role in getting GM to that 200,000-unit ceiling in the first place.